As a follow-up to Like Drawing Blood, I had high hopes for this. Having heard it a few times now, I'm finding it slightly underwhelming, but still good. "Somebody That I Used To Know" is an obvious highlight and showcases much of what can be heard on the rest of the album. As a positive, while still heavily sample-based, it's more subtle than its predecessor and less jarring on the ears. There's plenty of goodness to be heard, but it is a little top heavy. Quite a good album, Standouts for me are Eyes Wide Open, Save Me, Somebody That I Used To Know & I Feel Better. Wouter De Backer maakt muziek op wereldniveau. Sehr solides Album, schliesst stilistisch an die erste Single an, für mich phasenweise aber auch ein wenig langweilig! Als ich mit dem Album begann, dachte ich noch: "Oh, nein, nicht schon wieder sowas langweiliges. "<br>Aber spätestens mit dem Hit dachte ich: "Oh, die sind das? Cool. "<br>Und plötzlich klang es ganz anders und vertrauter. Liegt es an den 80er Jahren Sound?<br>In Australien bereits 2010 veröffentlicht, erfrischt es gerade jetzt hierzulande.<br>Anfang und Ende sind zäh, der Mittelteil dafür wunderbar. Das Album gefällt mir. Experimentiell, tiefgründiger Text und Songs mit schönen Melodien. Manchen Künstlern gelingt ein riesengroßer Hit, der dann natürlich das ganze Album pusht, welches aber dann aus Songs besteht, die so was von keine Hits sind. Man muss solche ruhige Musik mögen, um das Album gut zu finden - mir ist es zu mühsam. I didn't have high expectations for this album and it was exactly as I expected it to be. Apart from Eyes Wide Open, Somebody I Used To Know and Save Me the rest of this album is very average and too alternative for my liking. Overall I give this 3.3. Quite an average effort that is luckily saved by the amazing STIUTK. If not for that, this was bound to have been a flop and a relatively boring listen. 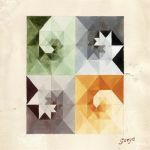 What I don't get is that Gotye has a really soaring, unique voice, but then some tracks he chooses to go for some weird electronic sound (State Of The Art, Bronte) that really brings down the whole album. They're such non-songs!<br><br>All up this is just average. The only other highlight on here is 'Save Me'. 3.5. Fantastic listen. I'm going to go against everyone else and say that STIUTK is the worst song on this album. I've always liked State of the Art and am delighted to discover that the other tracks are of similar quality, or are an enjoyable component of the whole structure. Will definitely need to listen to Like Drawing Blood in the future eh.